A 50-strong hospital team will hit the streets of Hull in June in support of the patients they care for. 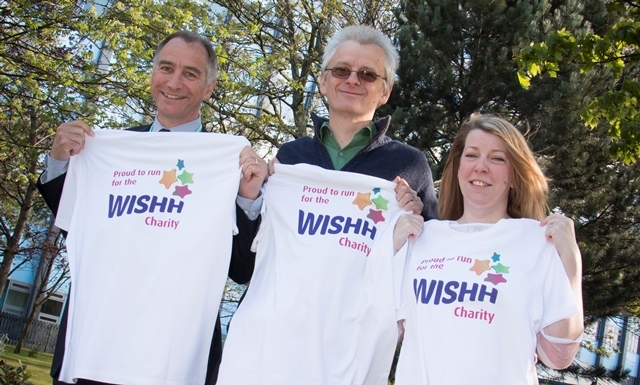 Staff from Castle Hill Hospital and Hull Royal Infirmary will be running the Jane Tomlinson Hull 10K on Sunday 18th June to raise money for WISHH, the independent charity working to enhance facilities and equipment at both hospitals. People with dementia will be amongst the first to benefit from the fundraising of the hospital team, which includes midwives, radiographers, eye specialists, scientists and theatres staff, to name a few. “With over 8,000 staff working for us across our sites, we knew we’d have people running the 10K so it seemed a good idea to bring us all together with a shared goal in mind. As hospital staff, we all want to do the very best we can for the patients we see and treat, so fundraising for WISHH seemed like the perfect idea, because we will be able to see first-hand how our efforts, and the money we raise, are making a difference. The team is made up of regular runners and running club members, right through to people who have barely laced up a pair of trainers before, but are now preparing to take on their first ever race. And whilst their experience may differ, they are all united in the aim of enhancing the hospital care received by local people in our area. “I am running the Hull 10K for WISHH because, as a local charity, I will be able to see the positive changes they are making to the hospitals. “It’s great that we’ll be running this race together for a local good cause. One of the most important things for me is being able to encourage my team mates and get encouragement from them, and to know we’ll be doing something which is going to directly benefit the people of Hull and the East Riding makes it even better. “It is an impressive response and we are delighted that so many hospital staff are giving their support in this way to the WISHH charity. The runners are giving their own time and, not least, considerable energy to help us.